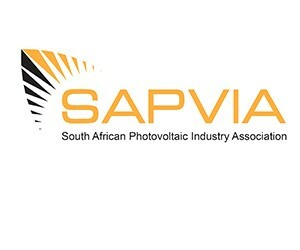 The South Africa Photovoltaic Industry Association (SAPVIA) welcomes the signing of the PPAs today. SAPVIA Chairperson Mr Davin Chown says “It has been a long drawn out process to prove to South Africa, investors and the entire energy community that renewables have their place and role to play in a rationally decided energy mix.” The signing of these PPAs will indeed boost and revitalize long-term investor confidence, both local and international investment and more specifically job creation and retention in this market. R58 billion of investment, more than 61 000 jobs and 2 305MW of energy added to the mix is only the beginning of what this industry can achieve. Chown emphasises “Renewables has been able to upskill South Africans, develop a new set of skills for the future of this country, for a vibrant energy sector which is considered a sunrise sector, will deliver benefits to all South Africans for many generations to come.” As SAPVIA commends the Minister and the DoE for pressing ahead with the process that they started, Niveshen Govender, SAPVIA Programme Manager says “We have full confidence in government’s ability to drive this process forward, together with the business sector and other social partners. The signing today sends a positive message to the market that South Africa is open for business and is committed to ensuring renewable energy plays its part in the future energy mix in a manner that ensures economic transformation of the sector, and ultimately broader economic participation of South Africans in renewable energy.